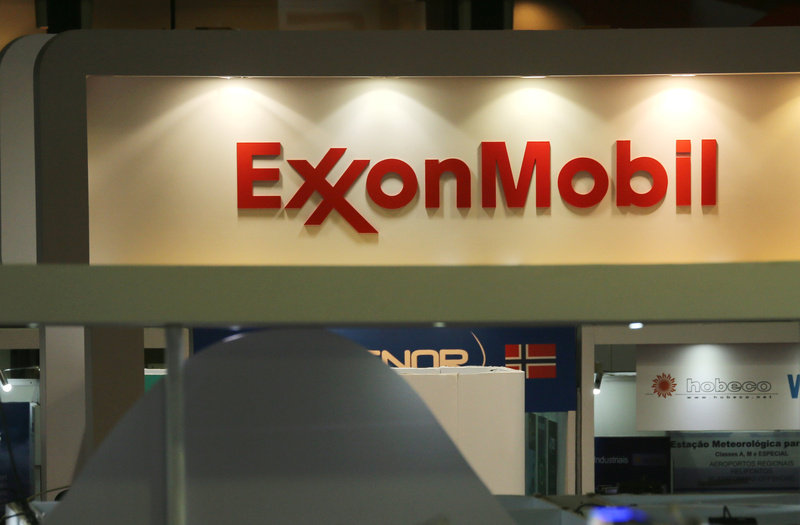 A logo of the Exxon Mobil Corp is seen at the Rio Oil and Gas Expo and Conference in Rio de Janeiro, Brazil September 24, 2018. The Securities and Exchange Commission on April 2 gave Exxon Mobil permission to exclude a climate change-related shareholder proposal from its proxy materials for its 2019 annual meeting. SEC Special Counsel Courtney Haseley said that the proposal would “micromanage” the company by seeking to impose complex policies in place of the judgment of the management and board.